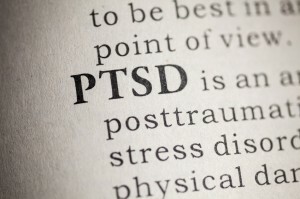 If you suffer from post traumatic stress disorder, you probably have to battle flashbacks nearly every single day. First, I teach you how to relax, so that you can be in a focused and honest mental state, ignoring all outside stimuli that might provoke your problem. Under hypnosis, you are one on one with your demons. I will instill appropriate suggestions that will move you to call on specific coping strategies you’re already capable of. While I help you realize your distinctive strengths and potential, you will start viewing your problem in a very new light: For once, you’ll feel confident enough to solve it! Self-blame fades, allowing you to restructure the trauma in a way that destroys all its resulting hang-ups. Before you know it, you’re free. The final stage is life coaching. I’ll give you all the practical tools you need to go through daily life without being overshadowed by the past. You can do groceries, go out on dates, make official deadlines, complete your chores, behave properly during social events – without sacrificing your individuality and without having to deny the pain you’ve gone through. You can finally be grounded again. For more information about how hypnosis can help you contact Dr. Errol Gluck’s NYC office at (212) 599-3195. This entry was posted in Hypnosis and Depression, Hypnosis and PTSD, hypnosis anxiety, stress remedies and tagged post traumatic stress disorder, PTSD by Dr. Errol Gluck. Bookmark the permalink.